Coin purses are nifty and useful, especially when they have such a festive crochet pattern to go along with it. What an adorable crochet coin purse it is. Make a coin purse with a metal frame while working up a neat Christmas gift for anyone on your list with this Christmas Stocking Coin Purse Free Crochet Pattern. You could put a few special coins in it and give it as a gift. Or you could use it as a Christmas tree ornament. 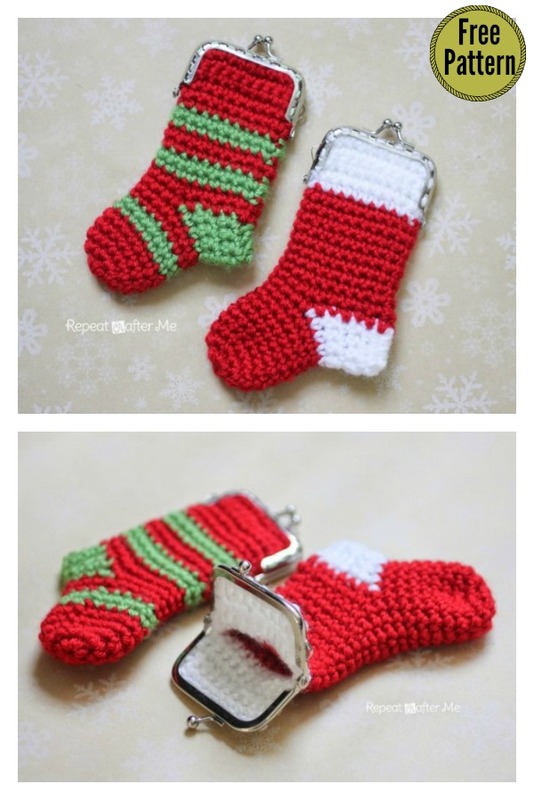 Get in the Christmas spirit in a unique way with this Crochet Christmas Stocking Coin Purse. Enjoy. You might also like Free Owl Purse Crochet Patterns Are Perfect for Beginners.